Warner Bros. have released a free game improvement update for Middle-earth: Shadow of War, featuring a host of new enhancements and content to provide existing players and newcomers with the best gameplay experience. Removal of the Market: The market and microtransactions have been completely removed from Shadow of War. Orcs recruited through Online Vendettas and Ranked Conquests will now be stored in the Garrison, and in-game Mirian can now be used to train, upgrade and customise your personal Orc army. More Ways to Customise & Build Your Character: The follower level cap has now been increased to 80 and the enemy Captain level cap has been increased to 85. Plus, players can level up faster with greater XP rewards for Nemesis Missions, defeating Captains and Online Conquests. New Prestige Skills are available and offer incremental upgrades to skills. Players can also spend Mirian to upgrade gear to current levels by completing the upgrade challenge, and these gear upgrades now allow players to re-roll abilities for the perfect combo. Nemesis Improvements: There are more Legendary Orcs to encounter, more ways to get Training Orders (incl. Legendary Training Orders) and followers can now surprise players with the occasional gift. And if any followers are too keen to help out and have been stealing kills, there is now the option to turn off the Saviour feature in the menu. Shadow of War is available for the Xbox One, Windows 10 PC through the Windows 10 Store, Steam, PlayStation 4 and PlayStation 4 Pro. 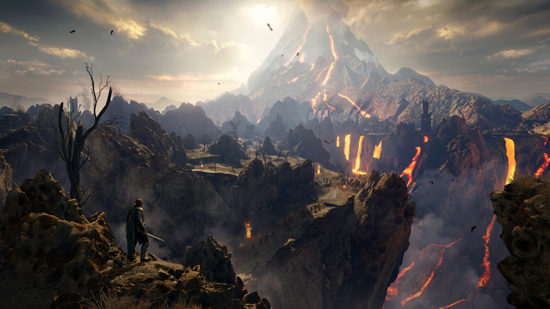 Set between the events of The Hobbit and The Lord of the Rings, Shadow of War is an open world action RPG that continues the original narrative of Middle-earth: Shadow of Mordor. Players will be engrossed in a richer, more personal and expansive world full of epic heroes and villains, iconic locations, original enemy types, more personalities and a new cast of characters with untold stories.